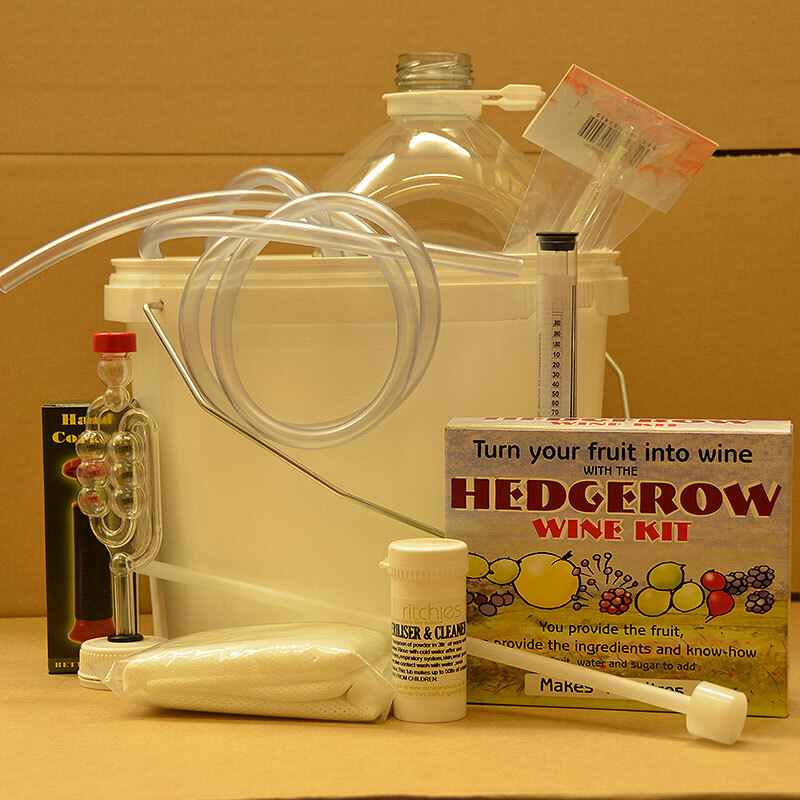 The Hedgerow Starter Kit comes complete with everything you need to make your first six bottles (750ml) of wine using your own garden fruits. 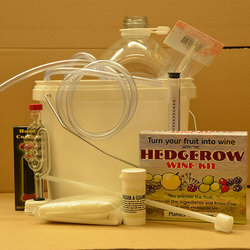 The kit includes the Beaverdale equipment starter kit as well as a few extra things you need for making fruit wine. All you need to provide is the fruit, 1.5kg of sugar and some empty wine bottles.